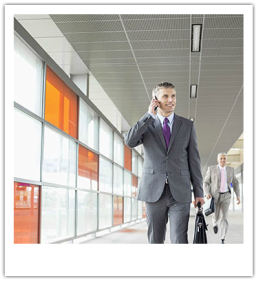 Why use Onbusiness Corporate Travel Services? Delighting customers is paramount to everything we do. ​Established for over 15 years Onbusiness Corporate Travel Services focus on managing and servicing clients ensuring all stakeholders are engaged and delighted with the service. We are an award winning venue finding and business travel agent, specialising in offering solutions with a smile to the business traveller. The ‘buyer’ by improving compliance, policing your travel policy, producing a preferred hotel programme and reducing costs and ensuring traveller safety. The ‘booker’ by saving time and ease of booking as well as offering training and encouraging adoption of online booking tools whilst also providing advice and guidance on cost saving techniques. The ‘traveller ‘ / ‘guest’ by keeping an individual traveller profile detailing their individual requirements, offering 24/7 system access with mobile itineraries and quality control of hotels and ensuring comfort and safety. We pride ourselves on offering the personal touch of a hotel booking agent (HBA) but with the technology, platforms and expertise, of a travel management company (TMC). Online booking portals – give our clients around the clock accessibility and provide a simplistic booking service which allows them to identify the most cost effective options aligned with those that are most suitable for a particular travel policy. Customer service centre – offers flexibility for all customers, with enquiries being handled via email, phone or an interactive live chat help desk. The customer support is provided by a team with a wealth of experience and industry knowledge of not only the travel sector but also of the online portals offered. An out of hours service (24/7) – is also available which is manned throughout by trained in-house individuals whom have an in depth knowledge of client travel policy. Track and locate – a traveller within all online and offline systems in the case of an emergency or upon a client request. Leisure extras including theatre tickets, river cruises, excursions etc.